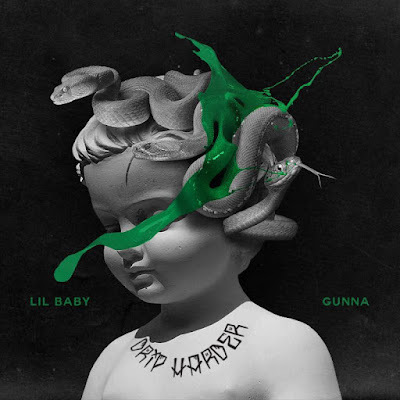 Two of Atlanta's brightest young stars, Lil Baby and Gunna, have finally released one of the most eagerly anticipated collaborative projects of the year, Drip Harder produced by Turbo via Quality Control Music, Young Stoner Life Records / A 300 Entertainment Label / Capitol Records / Motown. Drip Harder features Drake, Young Thug, NAV, and Lil Durk. 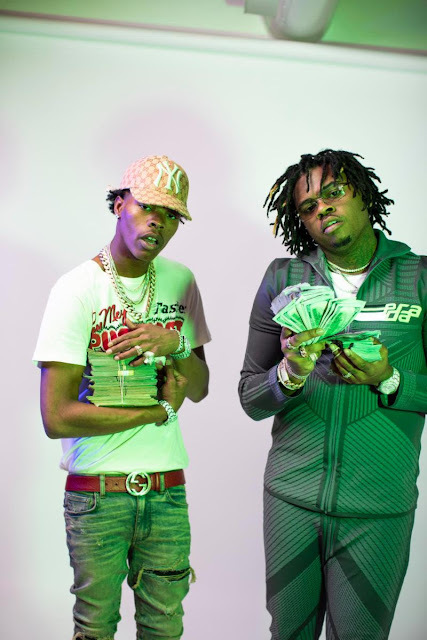 The project arrives with the release of the Spike Jordan directed video for "Drip Too Hard". The red-hot rookies gave the world a taste of Drip Harder project with the potent first single, "Drip Too Hard" which currently sits at #25 on Billboard's Top 200 chart with over 50 million streams across platforms since its release and still climbing. Read more on the project and their relationship at HotNewHipHop's digital cover story here and Rolling Stone here. Drip Harder comes on the heels Lil Baby's Preacherman documentary that took us to his neck of the woods in ATL where his troubled past was transformed into the brand of triumph dreams are made of. Preacherman has been streamed over 1 million times in less than one week. His recent project, Harder Than Ever, debuted at #3 on Billboard's Top 200, and featured the smash single "Yes Indeed" feat. Drake. "Yes Indeed" peaked at #1 at Urban Radio and #6 on Billboard's Hot 100, and since its release, it has amassed over 500 million global streams. In 2018 alone Lil Baby has clocked in over 2 billion streams and counting across streaming platforms. Additionally, Lil Baby is nominated for Best New Artist at BET's Hip Hop Awards where he and Gunna will both will be performing on the show. From humble beginnings in College Park, GA, Gunna has become one of raps new generation's most distinguishable voices. His latest project Drip Season 3 released earlier this year to widespread acclaim in the culture and was followed by his stand out track "Sold Out Dates" feat. Lil Baby; arguably one of the most significant precursors to Drip Harder. Gunna's steady buzz not only boosted his rap catalog with impressive numbers, including "Oh Ok" which has experienced 50+ million streams to date, but it also led to a notable feature on Travis Scott's "Yosemite" from his #1 Billboard charting album, Astroworld. Gunna is also opening for Travis Scott on the 'Astroworld: Wish You Were Here Tour' kicking off later this month.